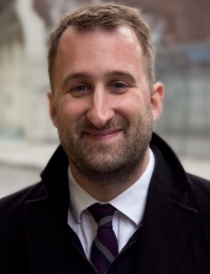 BROOKLYN, NY: Andy Pray, former SVP of digital strategy at Ruder Finn, launched his own Brooklyn-based firm earlier this month, known as Praytell Strategy. BROOKLYN, NY: Andy Pray, former SVP of digital strategy at Ruder Finn, launched his own Brooklyn-based firm earlier this month, known as Praytell Strategy. The agency, which has a team of six staffers, has the goal of integrating digital and PR and helping with storytelling. One of his main objectives is to have a strong foundation in working for greater good companies, or “the good guys,” he said. Pray explained that nonprofits need a lot of time and dedication from agency partners, but they can not be billed as much as large corporations, so his goal is to have the flexibility of a small agency with the reach and services of a large firm. The agency has design, technology, and PR capabilities, said Pray, who expects to bring on more staff next year, as well as partners. For the last five years, Pray worked at Ruder Finn, where he most recently served as SVP of digital strategy in New York. He has also led digital strategy at the Ruder Finn UK office. Before entering the digital space, Pray was a VP in the firm's consumer practice. During his tenure at Ruder Finn, Pray worked on accounts such as the MAC AIDS Fund, TiVo, Warner Brothers, Mountain Dew, PepsiCo, StubHub, and Sony VAIO. Pray has also worked at Waggener Edstrom and Antenna Group in San Francisco. Earlier in his career, he was a news writer and producer at CBS-owned TV station KPIX.